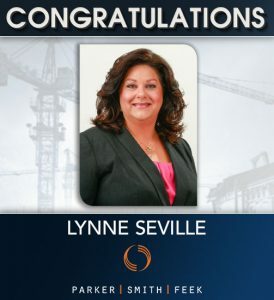 Please join us in congratulating Parker, Smith & Feek’s Lynne Seville, Principal, in her new elected position on the Associated General Contractors of Alaska (AGC) Board of Directors! She has been involved in multiple capacities within the organization and is looking forward to her new role. The AGC is an association of general contractors, subcontractors, and industry professionals dedicated to improving the professional standards of the construction industry. Today, the association provides opportunities for companies to work with each other to help solve industry problems together, provides online plans to make smarter business decisions, and gives companies a voice on workforce development, labor, and safety issues. The AGC has been a significant part of the construction industry in Alaska since its establishment in 1948. Since then, the Alaska chapter has expanded into a variety of committees to address areas of interest from labor and finance to safety and education. The chapter also serves on national committees to address concern about the future of the construction industry in Alaska and the United States.